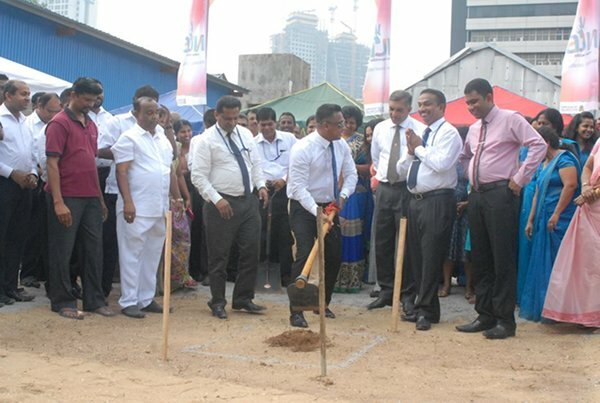 The Foundation Stone Laying Ceremony of the New Building for National Lotteries Board was held in the morning 1st of December 2016. Finance Minister Ravi Karunanayake was the chief guest at the occasion and NLB chairperson Ms. Shyamila Perera(Attorney at law) ,Director of NLB Mr. Chamindra De Silva,Director of NLB Mr. Gamini Saparamadu, NLB Working Director Mr. M.K. Hassan ,NLB General Manager Mr A H Sunil Gunawardena ,NLB Additional General Manager Mr K.V.P.S Theja, CFO Mr. P.K.H.A Bandara, CMO Mr. Asantha Kalyananda, NLB Deputy General Managers ,NLB Assistant General Managers ,other Invitees and the staff were present for this ceremony.